Rahul’s pull shot off Cummins became a subject of criticism as he was batting on 60 and set for a big score. Calling his execution of the pull shot against Pat Cummins “horrible”, India opener Lokesh Rahul termed the morning spell bowled by the Australian pacers as the “toughest” he has faced in his nascent Test career. “Josh (Hazlewood) and Cummins in the first session, I can say, is the toughest (spell of fast bowling) I have faced in Test cricket so far. They put the ball in the right areas and they swung the ball bowled with lot of pace and venom,” Rahul was all praise for the rival speed merchants. “It was horrible execution for sure. But having batted out there in the middle for a long time, I thought I could have taken him (Cummins) on, as there were no fielders at the back. Like I said horrible execution but the intent was right. “I can always sit here and question intent and hundred other things. But then in the middle, I thought I could take him on but unfortunate it didn't go my way. “Hopefully, in the second innings, I can get him away. So I will go out with a positive intent in second innings again,” Rahul said in his defence. With five half-centuries in the Test series, Rahul is among the two consistent batsmen from home team, other being Cheteshwar Pujara. The starts have not been converted but he is not losing his sleep over it. “Quite honestly, I am not regretting anything. Obviously, a little disappointed that I have not been able to convert the starts and get big runs for the team. As an opener, my responsibility is to spend as much time in the middle to get big scores in the first innings so that we don't have to bat in the second innings. 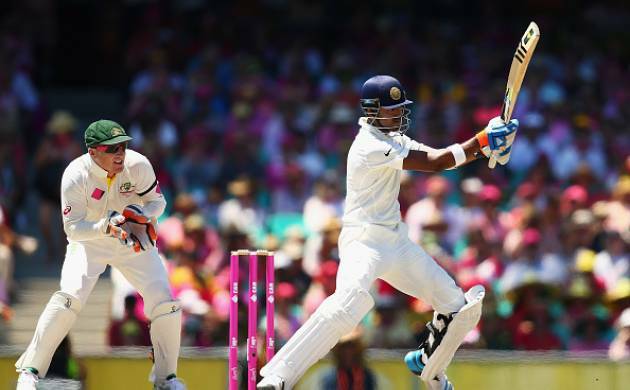 Rahul rated the wicket as “fantastic” and said score of 248 for 6 at stumps was good on such a track. With 300 runs in the series, he has been cut above some of his teammates but he has “not done anything differently”. “I haven't done anything differently from the first game. I have kept it simple and went out there—first session was really tough, was challenging for sure. Had to leave the balls outside off-stump, leave the bouncers. I was enjoying it.